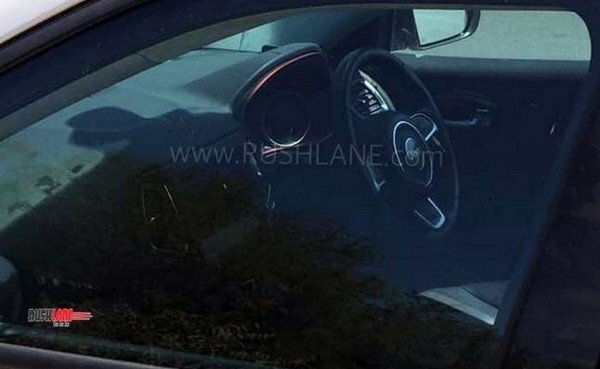 The Jeep Compass Trailhawk has been spotted testing again on the roads giving out a glance of the SUV’s exterior and interior styling. 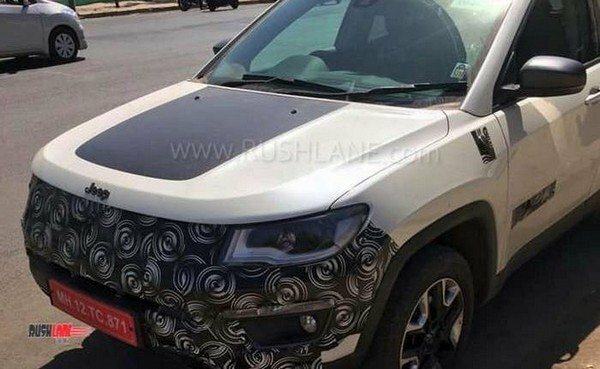 Prior to the official local launch of the Jeep Compass Trailhawk set by June 2019, a host of spy pics emerged online some days ago unveiling the brief looks of its styling. Though the images are not very clear, some display the black-themed and contrasting red accented cabin of the Compass Trailhawk. 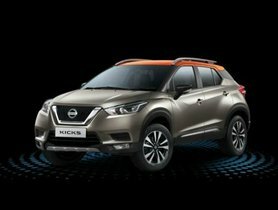 The upcoming SUV is slated to feature the segment-leading Uconnect 8.4NAV infotainment system with GPS navigation support which houses a 7-inch colour information display inside. Particularly, the all-new Jeep Compass Trailhawk is on the cards to offer unique fascias that will make it available with a 30-degree approach, a 24-degree breaker and a 34-degree departure angle. 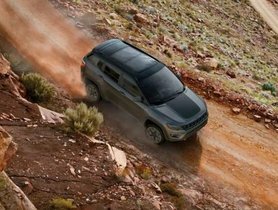 The SUV’s ground clearance will also be increased by the inclusion of off-road suspension. 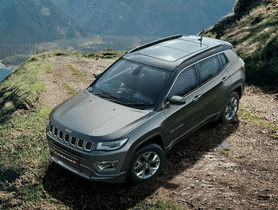 Ensuring an optimum driving performance on every road, the new Compass Trailhawk might come with magnetic modes- Jeep Active Drive Low 4x4 System and exclusive Rock mode in the Select-Terrain system. The later will come to enable a better off-road capability with Speed Control and Hill-Descent Control Assists. Under the bonnet, the soon-to-be-launched Compass Trailhawk will deploy a new 2.0-litre Multijet II diesel engine which conforms to the upcoming BS-VI emission standard. Since some reports claim that the SUV will combine with a 9-speed automatic transmission, it will for sure raise the price of this model to a higher level. 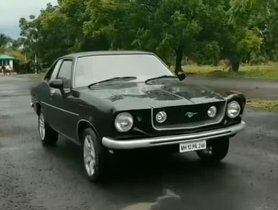 Besides, this sophisticated transmission won’t fit the speed limit of 120 kmph in India today. FCA India is now reflecting on some measures to keep the vehicle’s cost in check. That means a couple of less necessary features like heated front seats might be pulled off from the car. 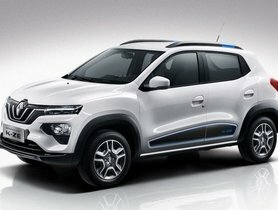 Some exclusive exterior packages should be the colour-coding grille, special 17-inch alloy wheels, wing mirrors and roof rails and Trail Rated badges as well. 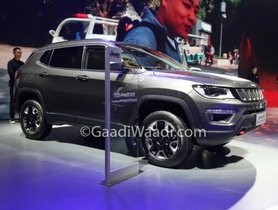 The expected price of the Jeep Compass Trailhawk is approximately Rs 30 Lakh (ex-showroom, Delhi).